Moral quandaries lie at the heart of Zero Escape 3. Zero Escape 3 was finally announced last week, leading to glorious celebration and triumphant rejoicing, that the third entry of the cerebral and chilling visual novel series would be made after all. No details really accompanied the announcement – we got the system and a rough release window, and that’s it – but at the time, it didn’t really matter, did it? No, we were getting a Zero Escape 3, and that was enough. However, speaking to IGN, Zero Escape series creator Kotaro Uchikoshi revealed a little more about what exactly fans of the series should expect from the third game in the franchise when it launches next year. “Your way of thinking, values, virtues will be intensely [shaken] during this game,” Uchikoshi said. “This game is even more philosophical than the past volumes. Of course it’ll be entertaining too!” he continued, pointing out that moral quandaries come at the center of Zero Escape 3. He also assured us that Zero Escape 3 will be a conclusive and definitive end to the story- 999 and even more so, Virtue’s Last Reward ended with some questions maddeningly unanswered. “I intend to answer every mystery left during VLR and the mysteries in ZE3 would be solved as well. This game will not end in a cliffhanger. However please take it as one break…if there are still fans requesting, I can not deny that there will not be new incidents arriving either,” Uchikoshi said. Finally, he discussed how sequels to 999 came about when, in spite of a few unresolved plot threads, the game was narratively self contained. Personally, I am glad that Volume 3 is happening- not least because I really want to see that damn cliffhanger from Virtue’s Last Reward get resolved once and for all. 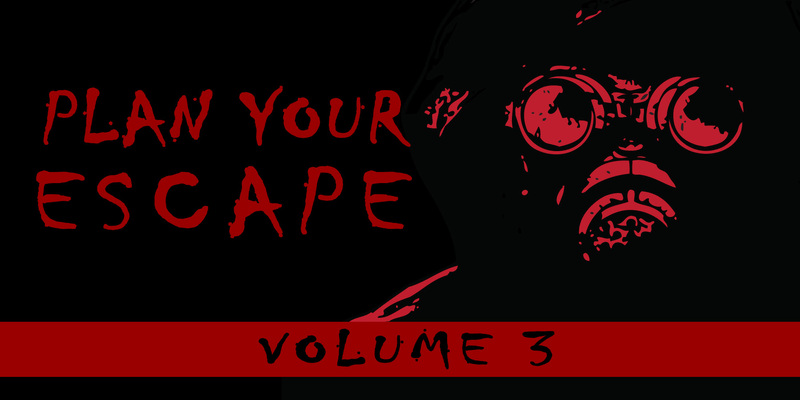 Zero Escape 3 launches on Nintendo 3DS and PlayStation Vita in Summer 2016.